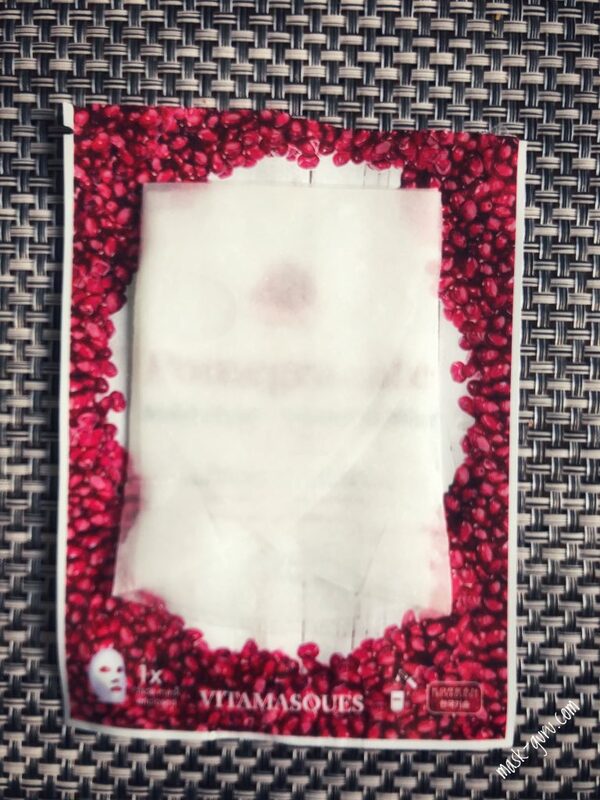 Pomegranate Face Mask by Vitamasques is all about pretty packaging and empty promises to me. Unfortunately, the stunning outside does not resemble what is inside. Plump up the volume! 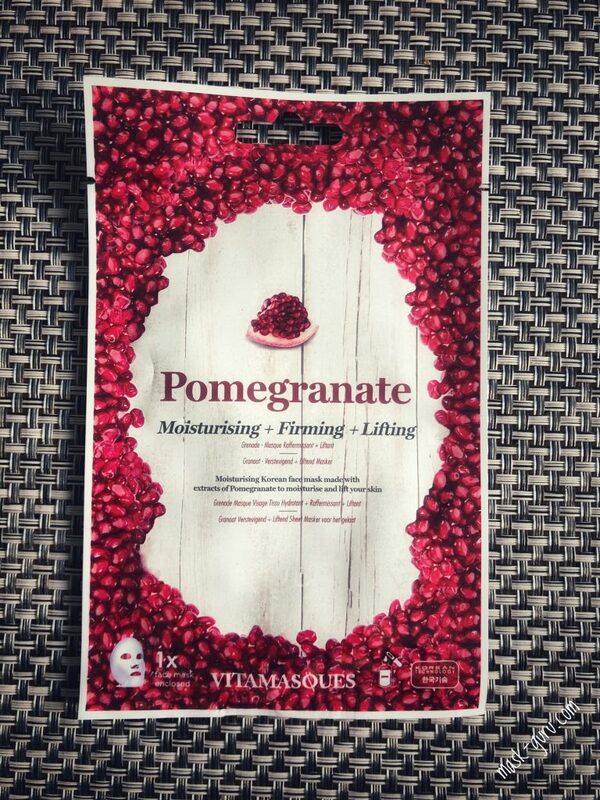 Our Pomegranate Mask is perfect for mature skin. It contains a high level of vitamin C that plays a vital role in anti-aging with bonus anti-oxidant qualities. Vitamin C is a miracle ingredient that promotes collagen production and cell turn over, meaning skin feels plumper and fine lines are reduced. Your skin will look and feel firmer, moisturised and more youthful. 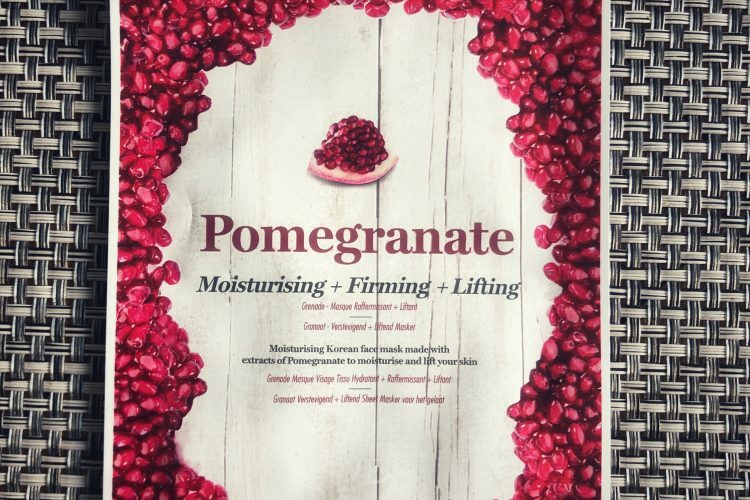 Pomegranate is also an amazing anti-oxidant that can help reduce the negative impacts of free radicals and pollution; creating a shield between you and the nasties that modern life sometimes throws at you! Wash and cleanse your face in preparation of applying your mask. 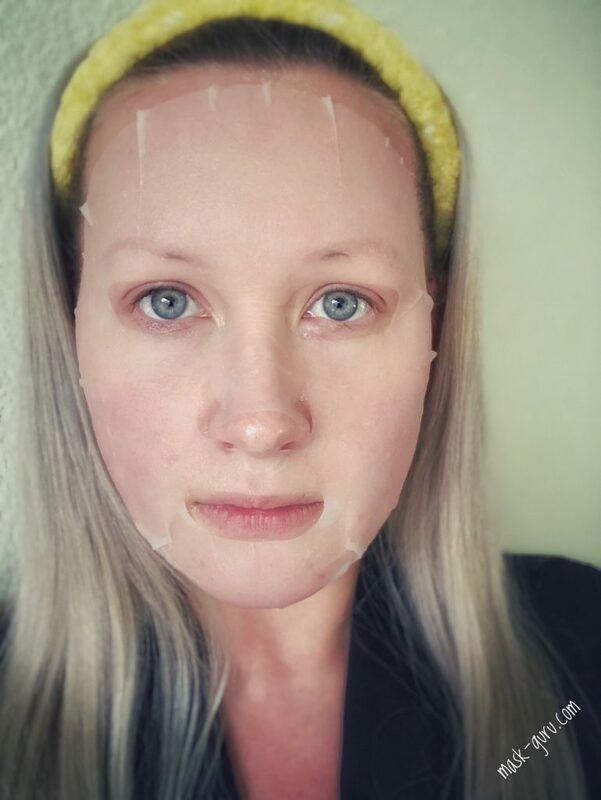 Remove the mask from its packaging and place it tightly on the face, avoiding the eyes and lips. After 20 minutes, remove the sheet from the face and gently pat your face to let the remaining fluid absorb into the skin. 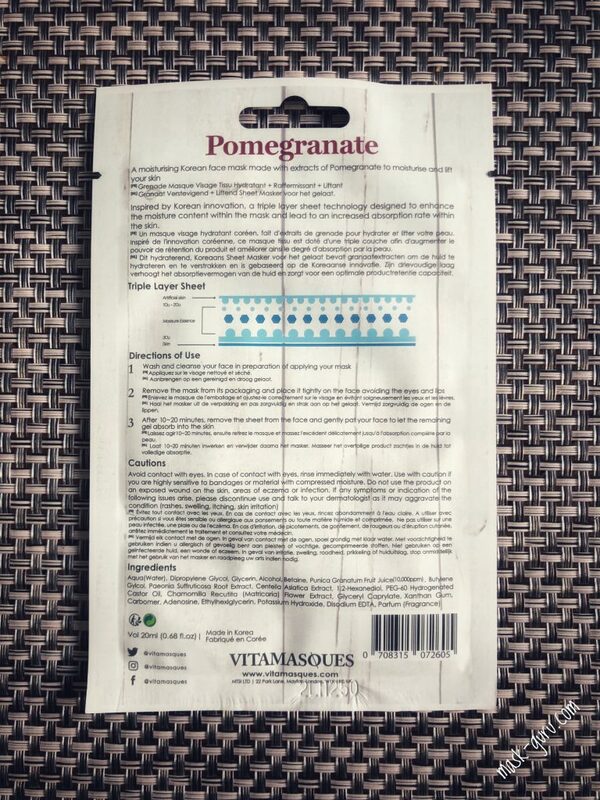 Pomegranate Face Mask by Vitamasques has looked so promising but the contents came very short to my liking. The mask sheet turned to be quite stiff and even though the fit was good it just didn’t want to stay on my face. Every time I turned my head it wanted to come loose on the sides and around my nose. I ended up laying down for this one which is not my favorite activity with a full house maintenance going on. Essence of this sheet mask was translucent and runny and looks like water at first until you touch it. Upon contact with skin it feels quite oily and slippery. My immediate thought was “wow, this must be nourishing like my BLITHE masks”. Well it isn’t. Not even close. Once the sheet was on my face it just didn’t want to dry. I had it on for 30 minutes and the sheet was still soaking wet. What I’ve witnessed was oil, oil and more oil. The sheet was literally soaking in what appears to be oil. After I removed the mask my face was looking and feeling oily. Luckily a lot of essence absorbed into my skin leaving me with very dewy looking skin. My skin felt somewhat hydrated but not nearly enough to what a classic sheet mask does. It felt like I needed to hydrate it some more. Unfortunately none of my lightweight moisturizers absorbed into my skin after this sheet mask. 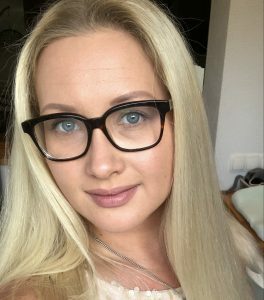 The oily layer sitting atop of my skin was preventing from moisture entering my skin. I’ve ended up removing the residue with the cleansing water and toning my skin with PY essence toner to give my skin what it wanted. I am very surprised at how weird this mask felt. It would probably be a great option for dry skin. For now, my oily skin didn’t like it at all. If I’d ever repeat it again I’d hydrate y skin using 7 skin method and only then applied the mask. In that way it would literally lock all the moisture in. My final verdict for now is that it is one of the oddest masks I’ve tried in terms of aftermath. It wasn’t hydrating yet was great at sealing my skin with almost a protective layer. The dewy finish was nice too but definitely too much for the AM use. I’m suspecting I’ll never purchase this mask again. I still have one exemplar which I’m planning to use after peeling treatment. Holding my fingers crossed in hopes that it won’t break me out.